Jugs Soccer Machine: a portable machine with height and speed adjustment that can duplicate any shot or pass. Globus Eurogoal 1500 Shooting Machinee: a powerful machine that can shoot balls up to 140km/h. It delivers high arching shots to challenge the goalkeepers. WiSoccero: love football but don’t want to actually play it yourself? 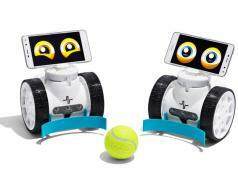 These robots can do it for you. They use neodymium magnets to catch styrofoam magnetic balls. 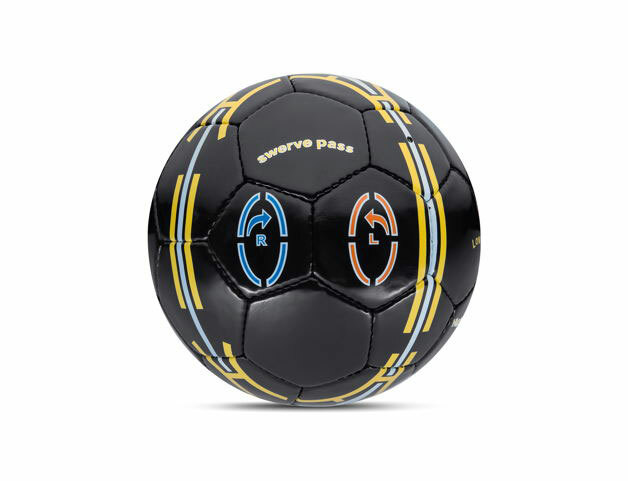 KickerBall by Swerve Ball: a special ball that lets you swerve and curve your balls like a pro. 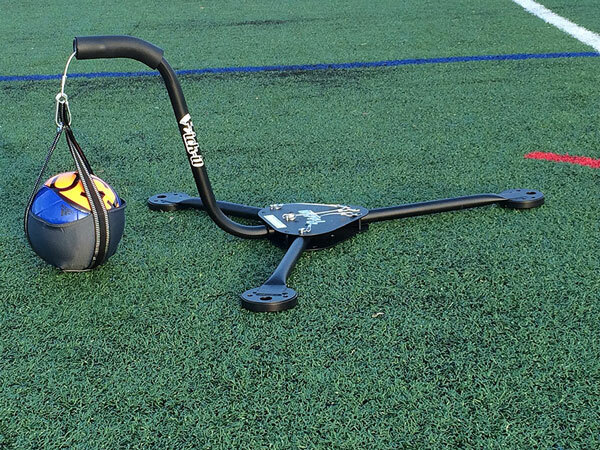 Sidekick Soccer Pro Trainer: this machine is designed for goalkeeper training. 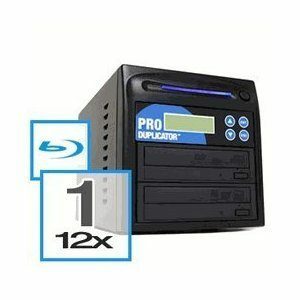 It can repeat the placement, spin, and speed. 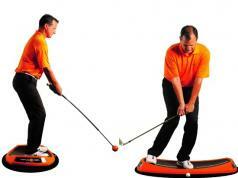 Swivel Vision Trainer: helps train your athletic vision. It trains athletes to keep their head and eyes on the ball. 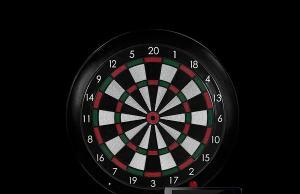 It is useful for golf, basketball, soccer, and other sports. 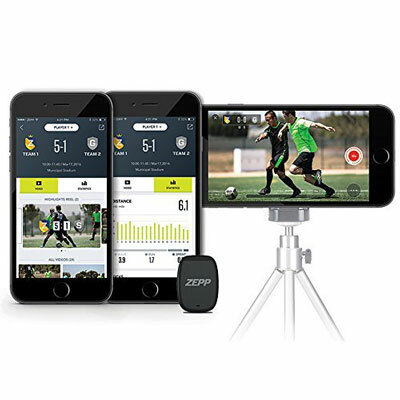 Zepp Play Soccer: a smart wearable system that tracks your kicks, sprints, distance, max speed, and other stats. 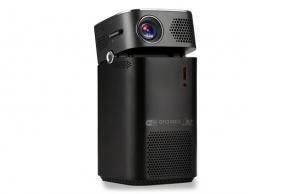 It lets you capture and post real-time video highlights. Works for individuals and teams. 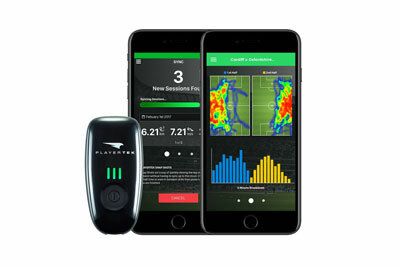 PLAYERTEK GPS Tracker: helps track your performance in games. 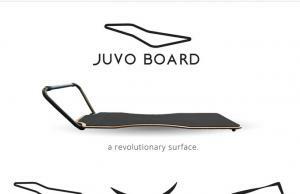 It captures distance, top speed, sprint distance and number of sprints. DribbleUp: an app connected soccer ball that helps you improve your juggling, shooting, and ground work. The companion app comes with virtual cones, goalie, and other interactive drills. 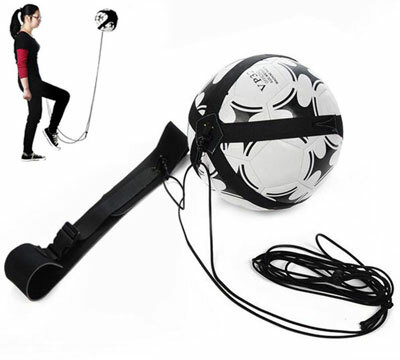 0g Soccer Juggling Trainer: a gravity training system that lets you work on your foot skills indoors or outside. 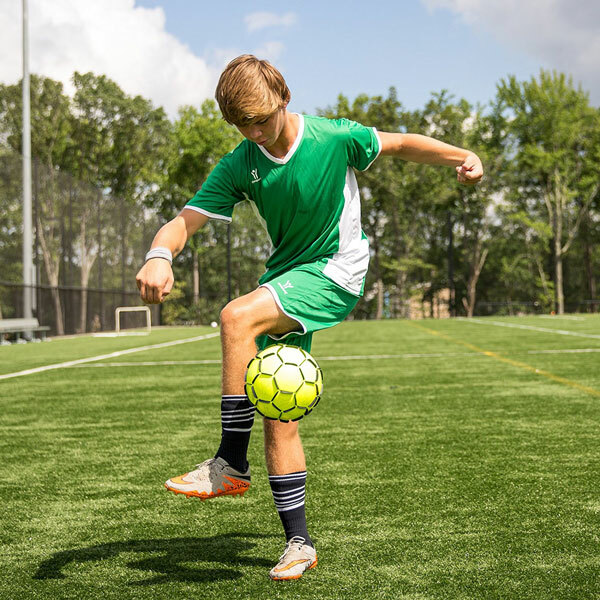 KixFriction: helps you develop better ball control, juggling ability, and better passing. Kick-it: this training system helps you develop your weaker foot and increase kick strength. INSIDECOACH: this smart ball comes with sensors to capture data and help you analyze passing, dribbling, spin, and the length of time you have practiced on your phone. 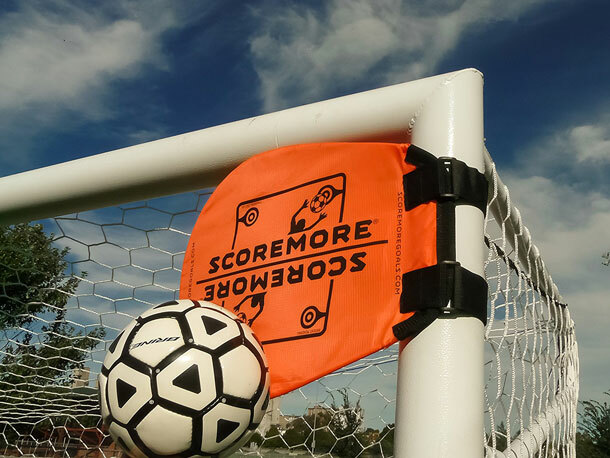 SCOREMORE Targets: forces you to place your shots in the corners, making it harder for goalkeepers to make a save. 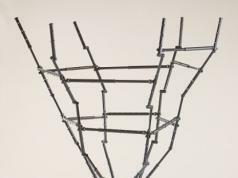 Spring Back Soccer Practice Dummies: these 5ft tall dummies form a wall for you to bend your shots over. They are great for dribbling drills too. Uber Soccer Free-Kick Training Mannequin: helps you work on your passing, shooting, and dribbling. 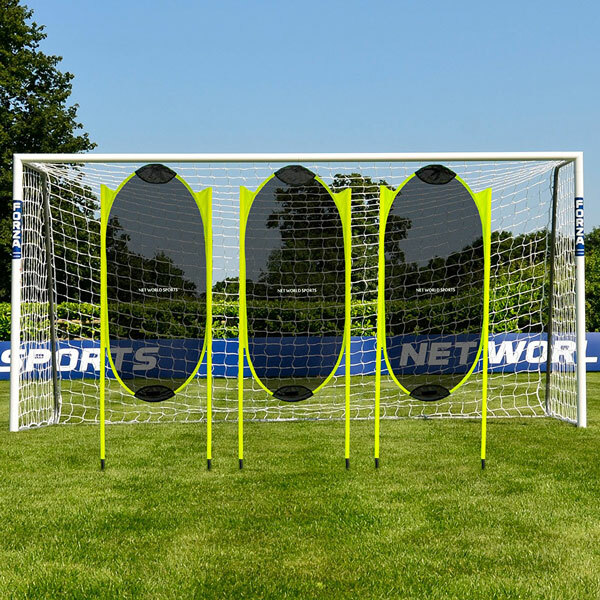 SKLZ Goalshot Target Net: allows players to visually focus to improve their finishing. It fits any 24′ x 8′ regulation soccer goal. 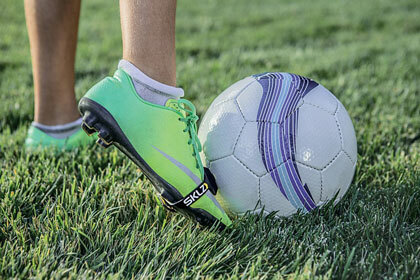 Hompr Kick Solo Soccer Trainer: allows you to train solo. It comes with an adjustable waist belt and a cord that stretches up to 18ft. On Target Football Trainer: this ball has markings to help you understand how to hit the ball properly to bend or pass it. 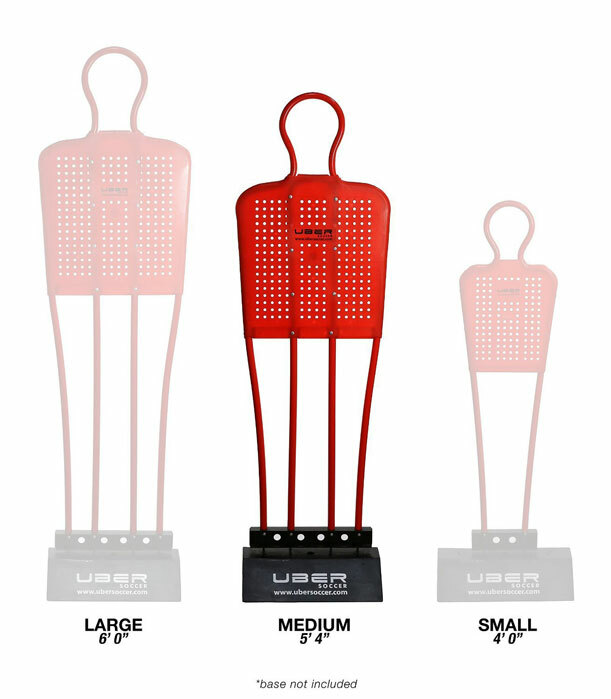 Goalrilla Striker: a rebound trainer that lets you practice shooting without receiving the ball. 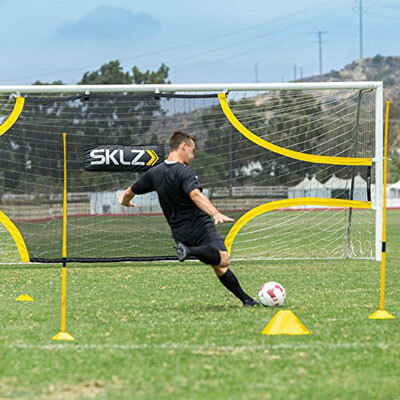 SKLZ Kick Coach: improves your touch when passing, receiving, and shooting the ball. Fits all shoe sizes. 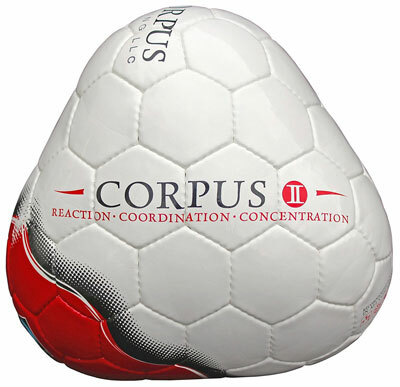 Corpus Soccer Trainer: helps improve reaction time and hand-eye coordination. 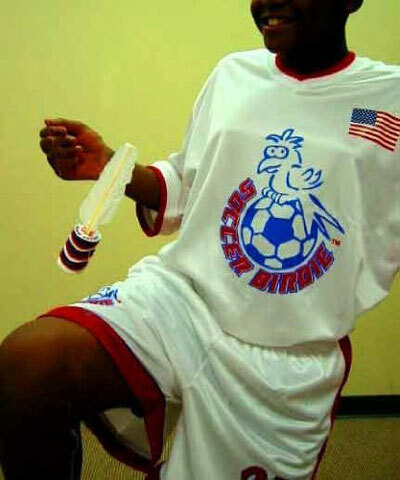 Soccer Birdie Training Aid: forces you to make perfect contact. 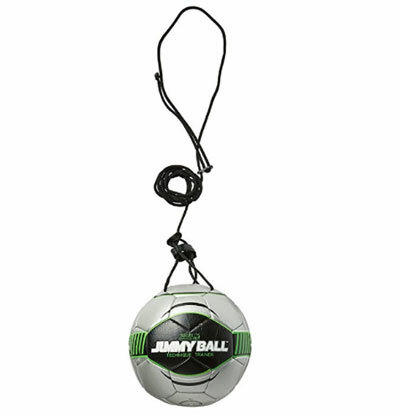 Improves your weaker foot and foot-eye coordination. Soccer Innovations Jimmy Ball: teaches soccer kicking technique to players. It has an adjustable shoulder harness to fit all players. 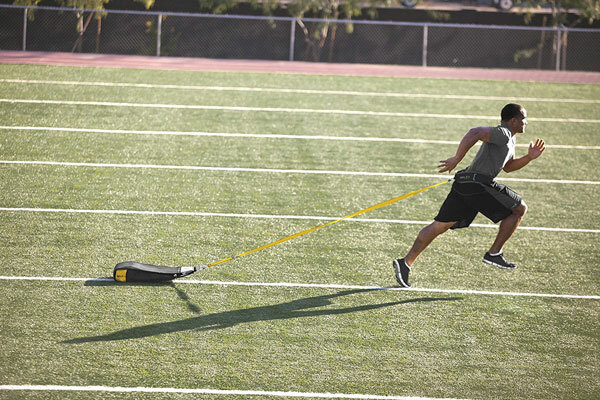 SKLZ Speedsac: an adjustable weight sled trainer for anyone who has do sprinting. It helps develop lower body muscle strength. 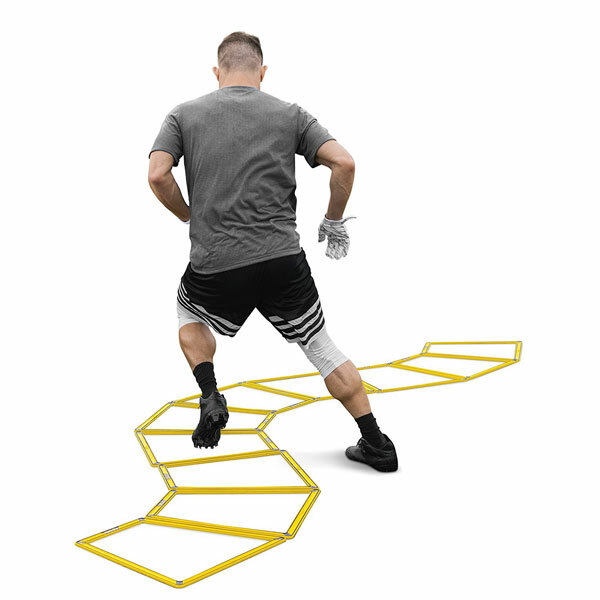 SKLZ Agility Trainer Pro: lightweight, agility trapezoids that enables you to develop quicker feet. Perfects your turns and change in direction. 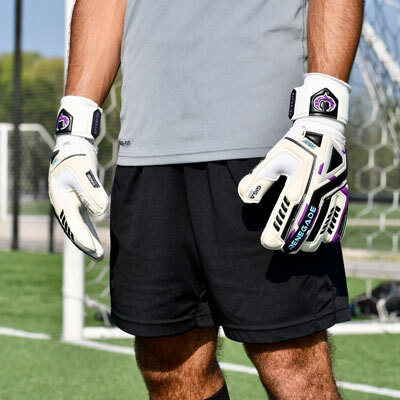 Renegade GK Fury Goalkeeper Gloves: have removable fingersaves and improve grip and ball control. 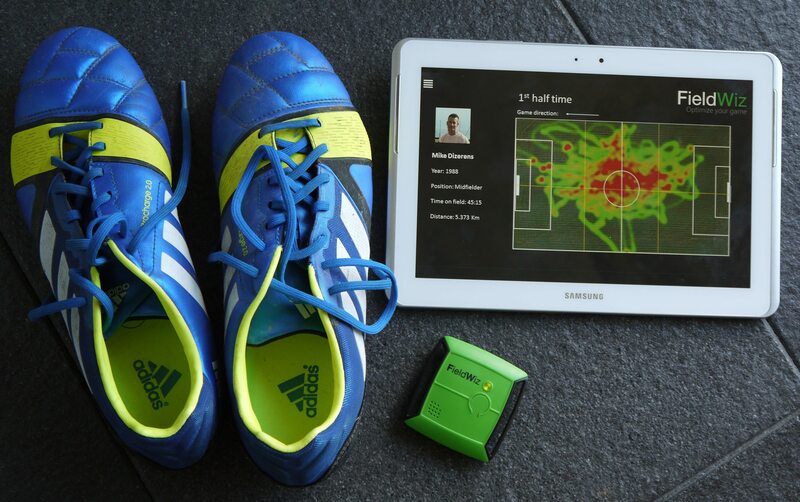 Have you found better soccer trainers and gift ideas? Please share them here.